Customize your limo. You have numerous customization options for your new limo build. Choosing what you want is the hardest part. The good news is we work with you at American Limousine Sales to show you what’s possible and help you choose the perfect options for your build. While a full list of customization options could go on for pages, you probably just want an overview for now. To give you an idea of just some of the options available to you, here are seven of the most common options. You might think choosing colors only applies to the exterior, but the interior colors are just as important. For instance, maybe you want beige trim and dark brown seating. You could also have multi-tone seats with an elegant black or white bar. As you can see, it’s kind of like decorating a room in your home, only a little smaller. You’re free to choose the colors of all the interior elements. Leather is often the first thought when it comes to limousines, but your customization options go far beyond leather. Some limo builds opt for a leather/cloth mix for optimal comfort and a unique interior design. Choose from different types and textures of leather, suede, polyester and nylon. When it comes to leather, remember that leather gets hot and cold easily, so you’ll need to ensure the seats are an even temperature before anyone gets in. Your flooring is one of those customization options that might not seem important, but passengers notice. It’s kind of like picking that one rug that sets off an entire room. We offer tile, granite, hardwood, lighted disco and selected carpet flooring. Obviously, we offer these options in different colors as well. When it comes to flooring, consider the type of passengers. For party limos and buses, carpet gets dirty quickly and may be difficult to clean. Color changing lights, lights that “dance” to music and basic mood lighting are all popular customization options for your limo build. The same interior lights in your personal car aren’t enough for a limousine. Many people want to use mobile devices, go over documents or just be able to see the people they’re talking to. Having special effects lighting that allows passengers to always have the perfect light for any situation is key. Whether you’re catering to business or party passengers, you have to consider audio accessories. Top level executives might enjoy listening to some soft background music while your party passengers want an audio system that makes them feel like they’ve stepped into a live concert. In addition to the sound itself, other options include disc changers, music player/mobile phone inputs, touch screens for controlling music and even other music options, such as satellite radio. Audio isn’t the only thing to think about. If you’re catering to business passengers, a flat screen TV with USB support is ideal for on-the-go presentations and even video chatting. Adding a DVD or Blu-ray player makes it easy for passengers to watch what they want when they’re in your custom limo. As with the audio accessories, installing a touch screen or easy to use remote gives passengers control over what they watch and even when the TV or projection system is visible. Do you prefer automatic or manual transmission? Do you need a V-6 or V-8 engine? What about fuel type? You’re not stuck with the engine and transmission that’s already there. These are commonly overlooked customization options, but they make all the difference when it comes to gas mileage, fuel type and overall power and handling. It’s always important to consider the size of the limo and the number of passengers when thinking about engine customization’s. Obviously, this is just a handful of limousine customization options available for your limo build. There’s still the exterior to customize and don’t forget all the other accessories, such as the bar and window tinting. It’s important to remember that no matter what options you choose, ensure you perform regular maintenance to keep the limo running smoothly and looking great. 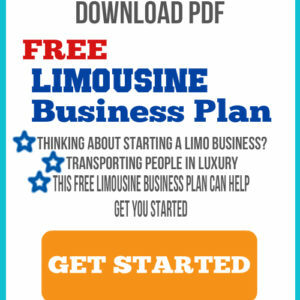 Looking for expert limo builders to customize your limo? Check out some of our custom builds and contact us to get started with your own.